Exoplanets, planets orbiting stars other than the Sun, are being discovered by the thousands now, and there are estimated to be billions of them in our galaxy alone. So far, they have ranged from worlds smaller than Earth, to “super-Earths” and “hot Jupiters” – a wide variety of sizes, compositions and temperatures. For many people, the most interesting are the ones which could potentially support life of some kind. How many of these planets may actually be habitable, at least by earthly standards? As technology improves, astronomers are getting closer to tentatively answer some of these questions, and a few dozen or so such planets have been identified so far. 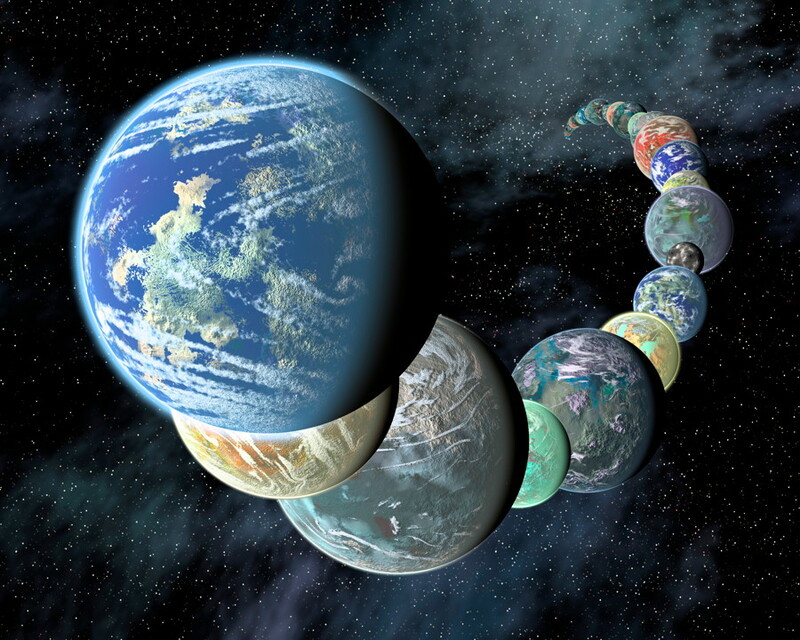 Now, a large team of researchers have found 20 more exoplanets which might be capable of supporting life. The findings are based on data sent back by NASA’s Kepler Space Telescope. The planets were found by using a tool called a Robovetter to sift through the data and narrow down the the most interesting candidates. It should also be noted that these are still planetary candidates, and further observations will be needed to fully confirm them. The great majority of exoplanet candidates do end up being confirmed, with relatively few being false positives. Out of the candidates, two are in multi-planet systems and ten are near-Earth size, in the habitable zones of their stars. One of the planets in particular stood out, KOI-7923.01, which was found to have an orbit of 395 days and was close to Earth in size. The planet is a little cooler than Earth due to its distance from its star, relative to Earth’s orbit, and the star being cooler than the Sun. Initial studies suggest that the planet is likely covered by a frozen tundra, but may not be too cold for life. Many of the other planets have long orbits as well. To date, most of the exoplanets discovered so far have had shorter orbits closer to their stars, since they are the easiest to detect. These new likely exoplanets were found in photometry data sent back by Kepler over four years, before the problems with the telescope’s reactor wheels which ended the primary mission in 2013. They were part of a catalogue of 8,054 “Kepler Objects of Interest” that were pared down to 4,034 exoplanets believed to have orbits between .25 and 632 days. 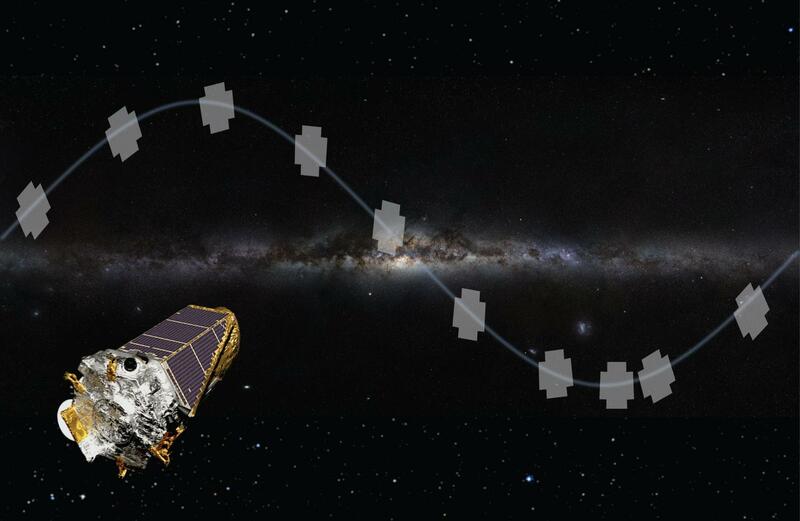 Kepler, although hobbled, is currently in its K2 mission phase, observing different regions of stars than before. Most of the exoplanets discovered so far have been ones about the size of Neptune or smaller. Many of those are rocky “super-Earths” which are smaller than Neptune, but larger than Earth. Others have been about the size of Earth or smaller, while others are gas giants like Jupiter. To date, 3,497 have been confirmed altogether according to the Open Exoplanet Catalogue with another 4,496 candidates and 2,337 confirmed from Kepler alone. Kepler also discovered the enigmatic dips in brightness of the now-famous star called Boyajian’s Star, which astronomers have been trying to explain for a few years now. It’s weird behaviour of suddenly dimming by up to 22%, as well as more subtle long-term variations in brightness, have produced theories ranging from giant planets with giant ring systems to disintegrating planets or massive comets to alien mega-structures. The Habitable Exoplanets Catalog currently lists 52 other potentially habitable exoplanets, apart from these new ones. 30 are super-Earth or mini-Neptune size, 21 are Earth-size and 1 is Mars-size. That number will surely continue to grow in the months and years ahead. The new exoplanet paper is available here.